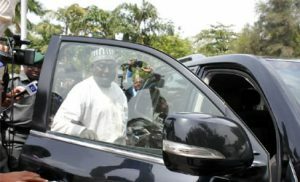 Ali , Fagbemi laud Buhari’s decision on SGF, DG NIA – Royal Times of Nigeria. A Senior Advocate of Nigeria(SAN) Mallam Yusuf Olaolu Ali Wednesday commended the decision of President Muhammadu Buhari over the suspension of the Secretary to the Government of the Federation(SGF), Mr. Babachir Lawal from office over his alleged involvement in the Internally Displaced Programme fund in the North East of the country. He however said that, President Buhari’s decision was rather late in view of the avalanche of evidence tendered against Mr. Lawal by the senate. 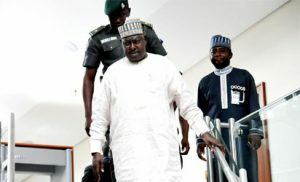 Speaking with journalists in Ilorin on Wednesday, the legal luminary ‎said that, “A lot of outrages have trailed the continue keeping in office of the suspended SGF, Mr. Lawal when the senate had taken decision over his alleged involvement in the IDPs fund especially his alleged ownership of companies that handled the project at the IDPs”. Continuing, he said,”It is ridiculous that in a democratic setting like ours,a senate could take a decision,and it would be flagrantly ignored. He also said, that ”The President is the appointors of those two officers and can fire them at any time but that of suspended SGF ought to have come before now in view of the senate indictment on him on the contract scam allegedly involved by his company. “One expected that,President Muhammadu Buhari ought to have asked his suspended SGF, Mr. Lawal to resign‎ from office before now to allow proper investigation into his alleged involvement in the contract scam but with the decision to suspend him from office, then proper investigation would now be done on the issue”. Also in his reaction, a factional chairman of Peoples Democractic Party‎(PDP) in Kwara state, Prince Sunday Fagbemi described the decision of President Buhari to suspend Mr. Lawal and Director General of NIA as a laudable one. 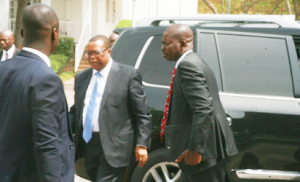 He said that,”It is a most reasonable decision so far in the day to day administration of the present government. “The suspension of SGF, Mr. Lawal from office over his alleged involvement in the contract scam at the IDPs would allow for proper investigation without allowing for any mending fence in the investigation. “Infact, the suspended SGF should have stepped aside before now for proper investigations into his alleged involvement in the contract scam at IDPs but with latest decision of Mr. President, I belief that, it is a most reasonable decision”. 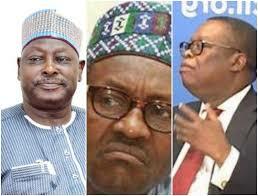 The Secretary to the Government of the Federation (SGF), Babachir David Lawal on Wednesday feigned ignorance of his suspension from office. A statement by the Presidency on Wednesday had announced his suspension over the award of contracts under the Presidential Initiative on the North East (PINE). Lawal, after meeting with Vice President Yemi Osinbajo, parried all the questions from journalists. Journalist: Your suspension has just been announced. How will you react to the development? Answer: Then ask them. Why are you asking me? Who is the Presidency? Journalist: Have you been informed of the suspension? Answer: By who? About what. What about you? Have you been informed? Journalist: By the Presidency sir. Answer: I have not seen it. I should have been given… I have not seen the press release so I cannot comment on it. Journalist: It is currently trending online. Are you doubting the authenticity of the statement? Answer: I have not seen it. Journalist: Tell us the outcome of your meeting with the Vice-President sir. Answer: I am always here. I always meet the Vice-President. I used to come here even before I was made SGF. 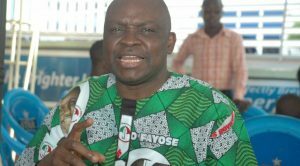 Ekiti State Governor, Ayo Fayose, has described the suspension of the Secretary to the Government of the Federation (SGF), Babachir David Lawal and Director General of National Intelligence Agency (NIA), Ayo Oke, as an “afterthought and a prelude to the official cover-up of the N13 billion cash found in a residential apartment in Lagos.